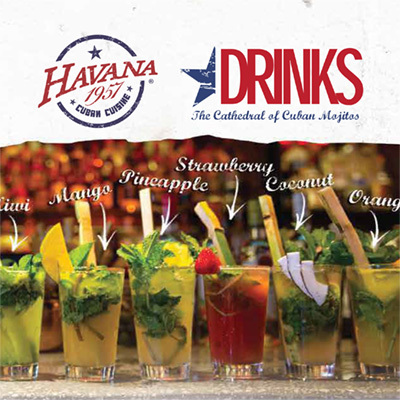 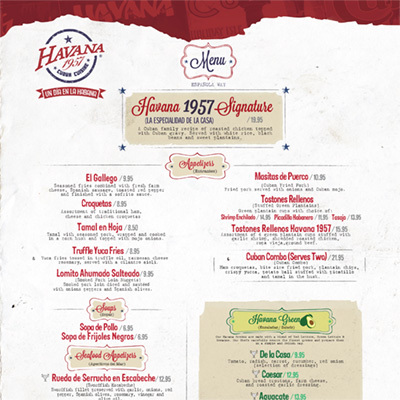 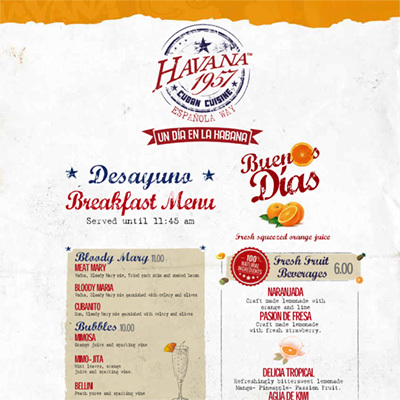 Havana 1957 offers a traditional family-friendly taste of Cuban fare. 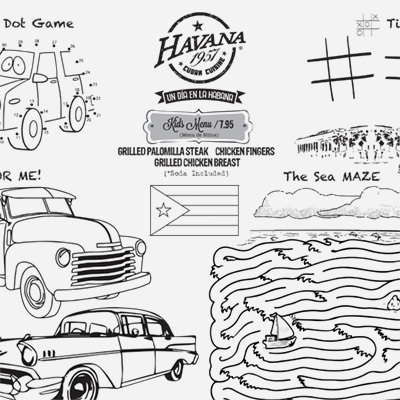 Inspired by Cuba in the 1950s, our Miami restaurants offer something for everyone. 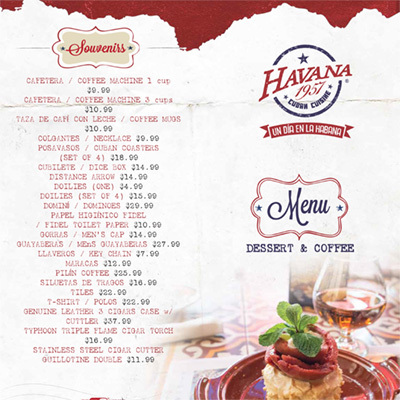 View the menus for our Ocean Drive location below.